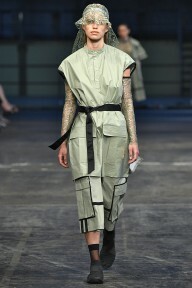 Something about a Rick Owens show will always make you pause for thought. 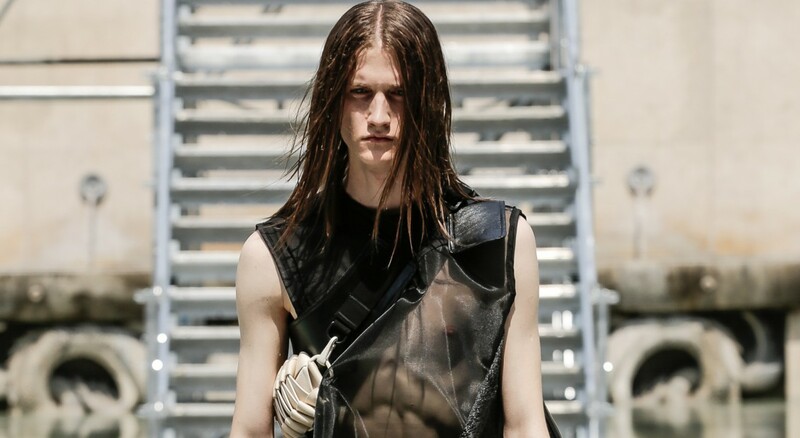 Rick Owens conveys a discipline in his work from season to season that is quite simply rare. He is the real deal, and the reverence found within his own cult-like following reflects that entirely. 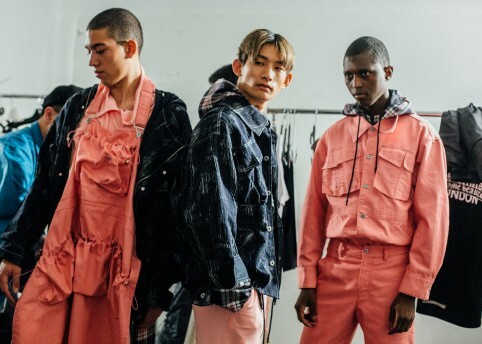 This season Owens emerged from his usual show location in the concrete basement of the Palais de Tokyo, bringing guests to street level, seated around the Palais’ still pool. 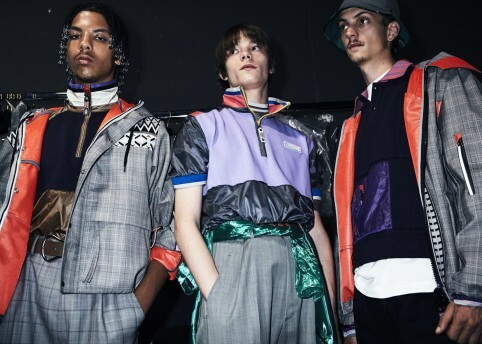 Is it sensible to bring Owens’ goth gang into the boiling Parisian sun? 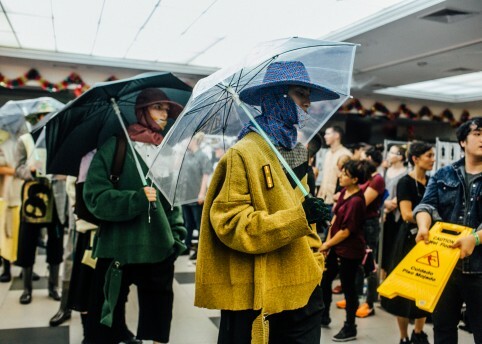 Don’t panic, the LA-born designer provided bucket hats, fans and Rick Owens branded water bottles – pale complexions were safe here. Above heads, striking, towering scaffolding was installed to serve as a monumental walkway for models to tour the full height and width of the elegant art Deco building. 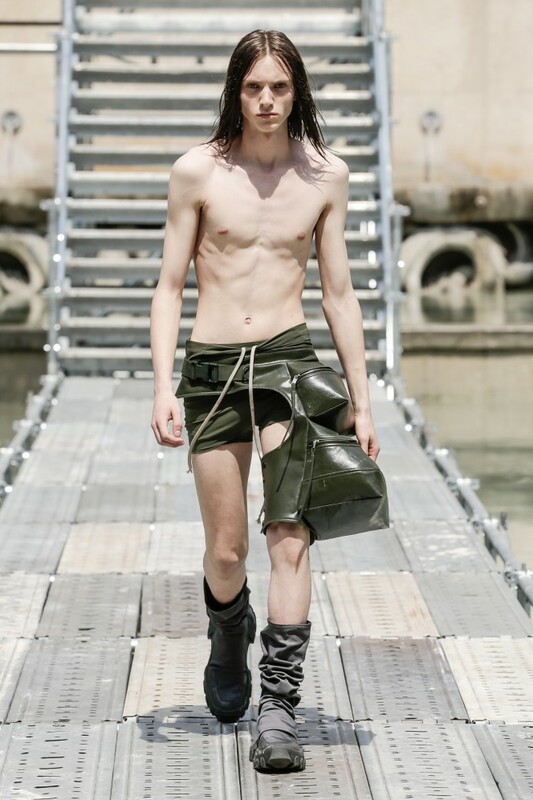 For SS18, Owens evoked a sense of the gladiatorial from the outset; the first model was bare-chested sporting deep olive tight trunks, seen complimented with enlarged leather bum-bag hoisted around the hips that made its way down the left leg. These ingenious leg bags were peppered throughout, breaking up the sleeveless trapezoid tops of rough taffetas and industrial gauze. 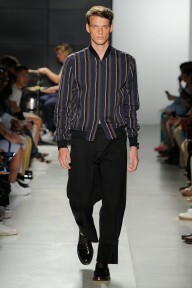 The latter half of the collection became tailoring heavy, but again, ingeniously. Amorphous top-halves suddenly gave way to the structured bottom halves, with high-wasted tailored trousers with elongated fly and deep-set welt pockets to contrast. The almost wasp-waisted highness of the trousers were often met by cropped collared casual jackets. 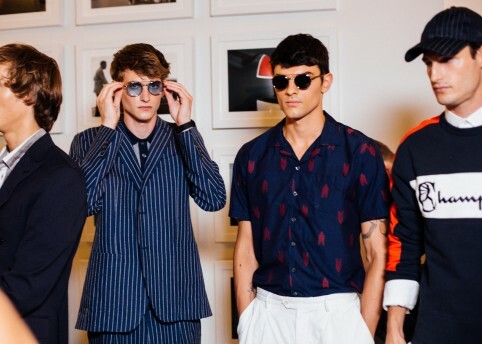 From one extreme to another, trousers broke out into something much more widened and sculptural, met again and paired with cropped suit jackets; shrunken notched lapelled yet collarless. This conversation between extremes came and went, fleshed out in leathers, patents, denims and gauze, with his tried and true pallet of marshy greens, ivory and off-whites, concretes, and perhaps at least ten shades of black. You can’t help but meditate afterwards on Owens’ clothes, and be fascinated with his fascination of the human body and what it means to be human.